My weekly planning session takes place on Sunday evening. 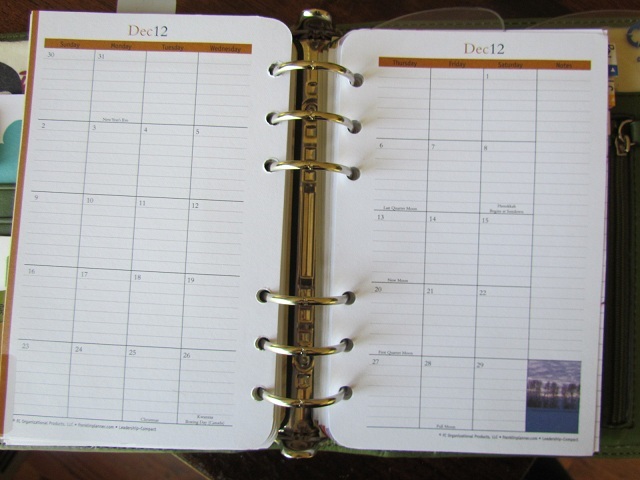 I sit on the couch with my planner and start plugging things in. First I check my monthly calendar to see if I have any appointments scheduled. 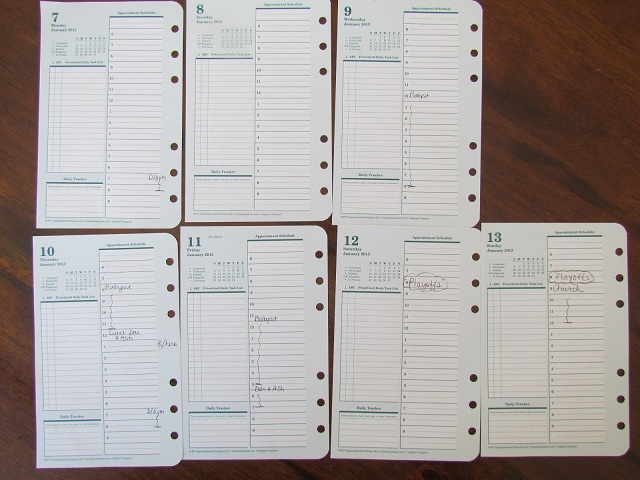 I plug them into the Appointment Schedule on my daily pages. Next I plug in tasks I need to do on certain days. These go in the Prioritized Daily Task List section. For example, I usually go to the grocery store on Wednesday, so I need to make my grocery list on Tuesday. I pay bills on Saturday. On the 1st of the month I do monthly checks (smoke alarms, furnace filters, snack stash) and give my dog her heartworm pill. If someone has a birthday, I write “email happy birthday”, “prep card”, “mail card” on the appropriate days. 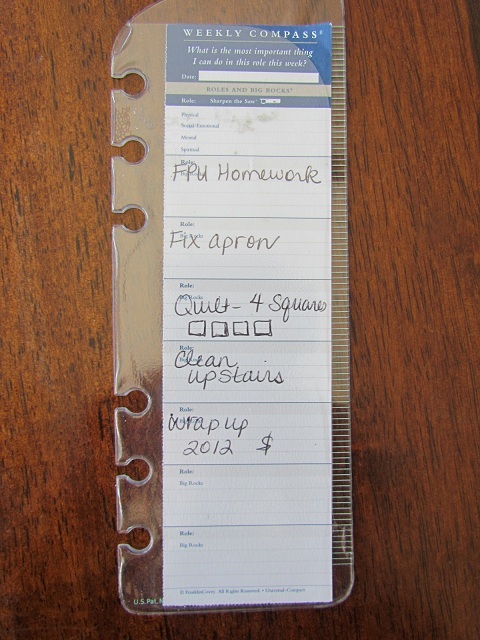 I record other tasks that need to be done sometime during the week on the page finder. The page finder has a slot for a weekly list. 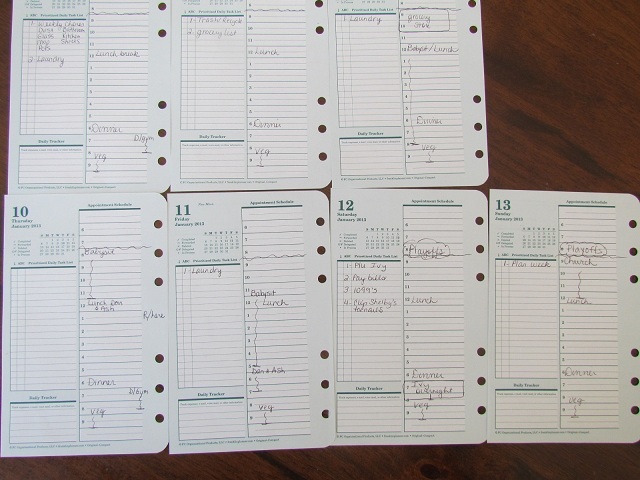 The front of the list has 8 boxes which I’ve been using those to record high priority tasks. On the back of the page I record all the other things that come to mind. 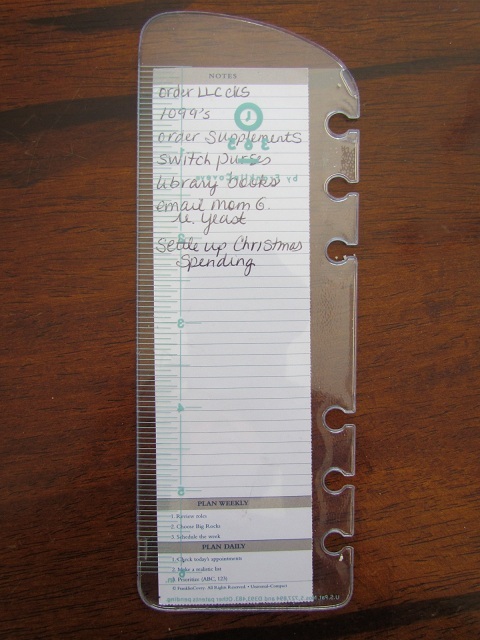 Pull out the list to add new items or mark things off that you’ve done. Then I do a review to be sure there aren’t any issues, like too many appointments or a scheduling conflict. 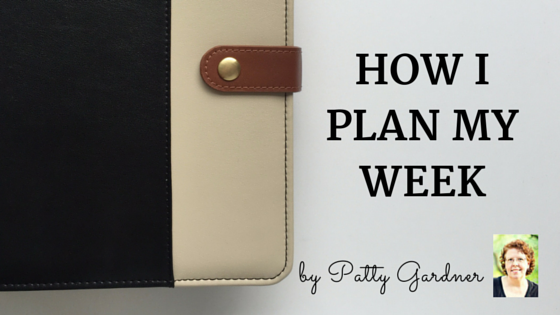 If all is well, weekly planning is done! Sometimes, though, I have SO much going on that I feel overwhelmed and this planning method isn’t enough. When that happens, I print out a weekly schedule form and do my initial planning on it. Seeing the whole week at one time helps me see whether I can get it all done or whether changes have to be made. Once I get it all worked out, I transfer it to my daily pages. This method takes about 15 minutes unless I have to do the weekly sheet first. Then it probably takes 20 or so. This system works really well and I start my week feeling like I know what I’m doing. And feeling in control is half the battle!